With 17 decks, Broadway shows, a 10 storey high slide called The Ultimate Abyss, an aqua theatre and plenty of entertainment on board, Harmony of the Seas, Royal Caribbean’s new flagship cruise, is like a floating city. There’s enough to keep any family, couple or group of friends entertained but there are also a whole variety of restaurants for you to dine at while you’re on board. When we visited the ship before its official maiden voyage, we were lucky enough to try out a few of the restaurants, and even though all the food was delicious, here are our pick of the best restaurants on Harmony of the Seas. If you like Japanese food, you’re going to love Izumi. The elegant black and red decoration lends itself well to a classy evening where you can enjoy fresh, hand made to order sushi, sashimi and dumplings. 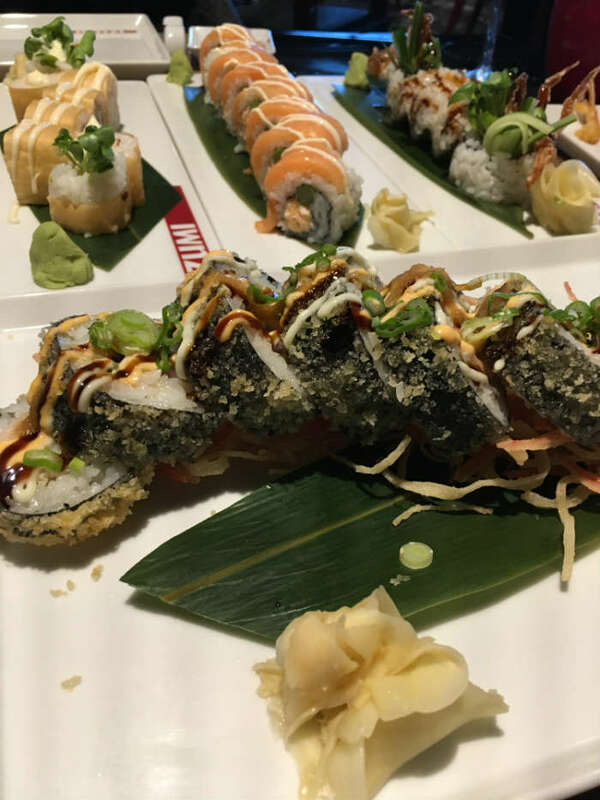 If you’re a Japanese food novice, hosts are on hand to help you choose a selection of dishes which range from pork gyoza dumplings, and shrimp and vegetable tempura for starters to the Izumi spider roll and salmon lovers roll for the main meal. One of our favourites was the champagne lobster in yuzu wrap, we promise you it’s delicious and the wave of champagne which you can taste towards the end of your sushi slice is just delightfully unexpected! For dessert, why stick to one thing when you can try a selection? We sampled the assorted mocha ice cream which came in black sesame seed, mango and green tea flavour. They sound unusual but you might be surprised at how tasty they are. If you’ve been on some of Royal Caribbean’s cruises before, you might already be familiar with Wonderland, the imaginative cuisine restaurant. For those of you who haven’t tried it out yet, or if you fancy a truly unique food experience on Harmony of the Seas, venture here for the evening for a show that starts before you’ve even ordered your food. Based loosely on an Alice in Wonderland story, the décor of the restaurant is a minimalist theme with plenty of fancy embellishments but it’s the food that really makes this place stand out from the crowd. Start your journey through Wonderland by washing water over the blank piece of paper that’s placed in front of you and, just like magic, your menu will appear in front of you. The selection of meals are based on 6 elements, the sun, sea, earth, ice, fire and dreams. The buffalo chicken eggs are a delicious treat delivered in a glass dish complete with a cloud of smoke. Finish the meal off with the molten chocolate cake and nitro pistachio ice cream, which is as good as it sounds. For a good steak, Chops Grille is the place to go. 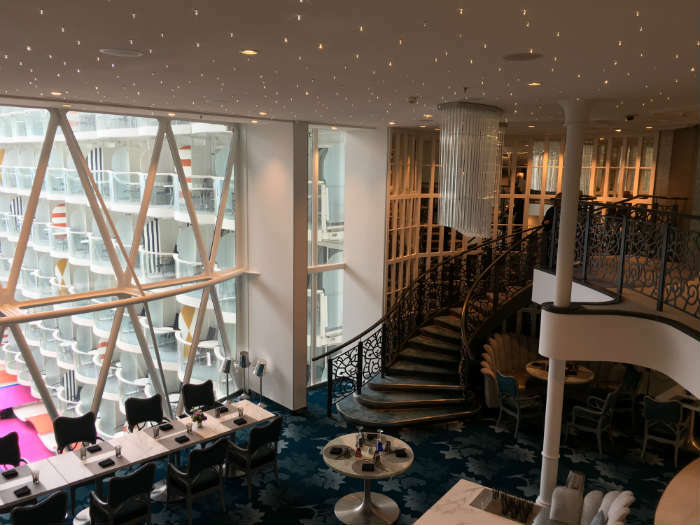 You’ll find the restaurant in the Central Park area of Harmony of the Seas where the dark, rich interior provides a great atmosphere for an evening meal where you can choose from a great selection of steak, poultry or seafood. The crab and shrimp cakes were a favourite when we sampled the restaurant, with the seafood practically melting in your mouth as you bite through the crisp outside. The steak was also almost too good to be true with its soft, buttery texture that makes you feel like you’re in a scrumptious steak heaven on earth. Looking for a late night snack or a carb and cheese treat? Head to Sorrento’s pizzeria for a slice of good, New York style pizza where you can try out pepperoni, Hawaiian, chorizo and margarita as well as many more flavours of pie. 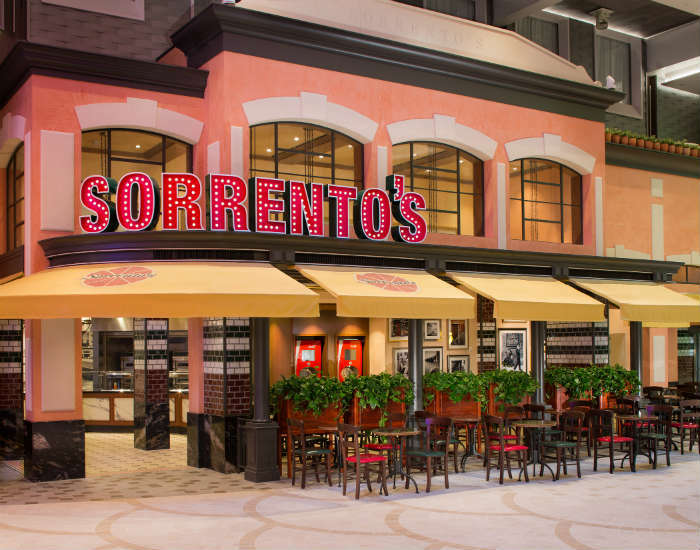 This diner style eatery is also the place on Harmony of the Seas that’s open until late, so after you’ve finished partying in The Attic or listening to some smooth music in the jazz lounge, Sorrento’s is the best place for a midnight feast. Sometimes, too much choice is a bad thing but when you, your family and friends just can’t decide where to go for a meal, why not head to the buffer at Windjammer Marketplace? This restaurant isn’t just your average buffet, you have a selection of foods from all around the world. This place is especially good at breakfast where you can get your regular cereal, a selection of cured meats, cooked breakfast or pancakes with bacon syrup. The choice is endless and there’s bound to be something here for everyone whether you dine here for breakfast dinner or lunch. Where else can I eat on Harmony of the Seas? 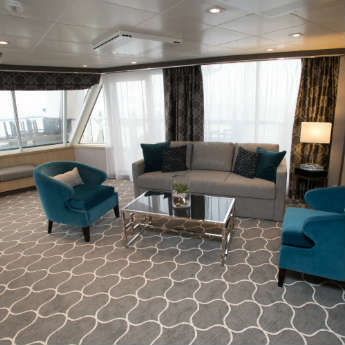 We’ve just picked our favourites from our 2 nights on Harmony of the Seas but there are even more options once you’re on board. Try out Sabor for a Mexican style meal and some of the best margaritas you’ll ever drink. The main dining room is the place to dress up and have a good meal with a special glass of wine. 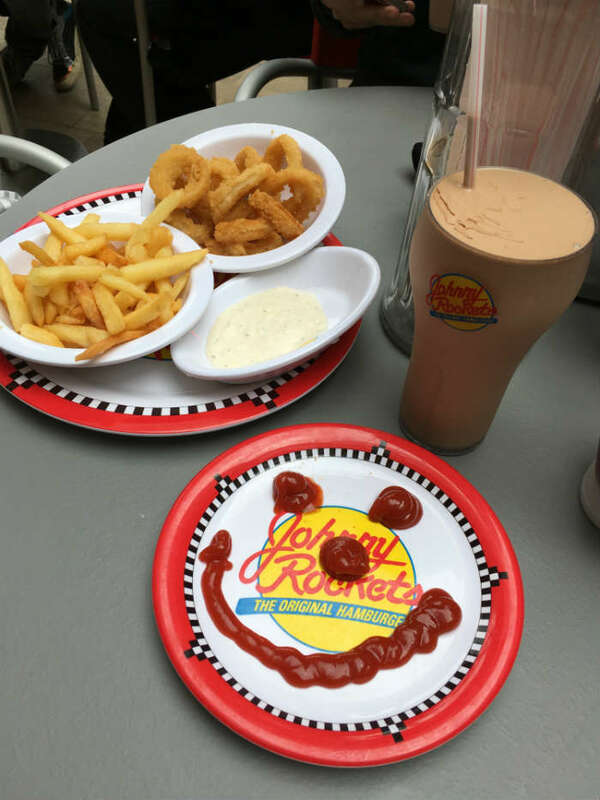 The Boardwalk Doghouse has a great selection of hotdogs and Johnny Rockets is a burger and milkshake joint which serves up a good taste of American food and drink. 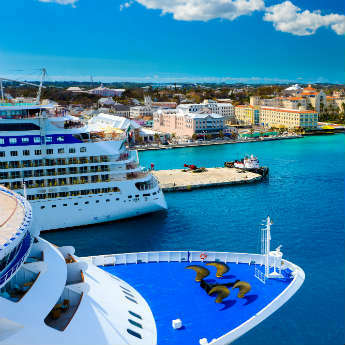 Have you been on a Royal Caribbean cruise before? Or do you want to visit the new Harmony of the Seas? 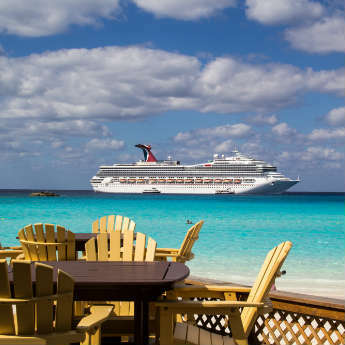 Let us know if you're planning on going on this amazing cruise in the comments below!